Nothing, and I mean nothing, drives me round the bend like bad science and science misinformation. One of the biggest problems we have with science and science education is the over-simplification (maybe call it USA Today science) of science. Let’s take radiation. Somehow, somewhere people got it into their heads that all radiation, no matter how much, is bad. Just plain old bad. The problem with this is that even before humans invented stuff that could emit radiation, we were surrounded by it. The Sun! The Sun emits radiation all the time! It’s what keeps us warm folks. What does this have to do with WiFi you ask? Well, parents groups in both B.C. and Ontario have their hearts set on having schools become WiFi-free zones. Why? Because WiFi might be a health hazard. We’ve been surrounded by stuff that emits in the 2.4GHz and 5GHz bands (WiFi bands) for a very long time. I wonder how many of the parents calling for an end to WiFi in school have cordless phones? Microwaves? Cell phones? Baby monitors? Lot’s of those devices emit in the same band (phones and baby monitors especially). The other problem is that there is no evidence that WiFi emissions are even close to dangerous. You want a risk? Have your dentist zap you with the x-ray machine for a few hours, then get a couple dozen chest x-rays. That’s risk. WiFi, not a risk. Here’s something that is completely (and scientifically) true, but not really relavent or important to how things are in the real world. All of your diamonds are turning into graphite. In about a million years. Probably more. We have to set science into reality. There is cyanide in Apple seeds … eek! Yeah you’d have to probably eat a bushel of apples, core and all, before you’d get close to toxic levels. Assuming you didn’t throw up first. The emissions from WiFi are very, very low. 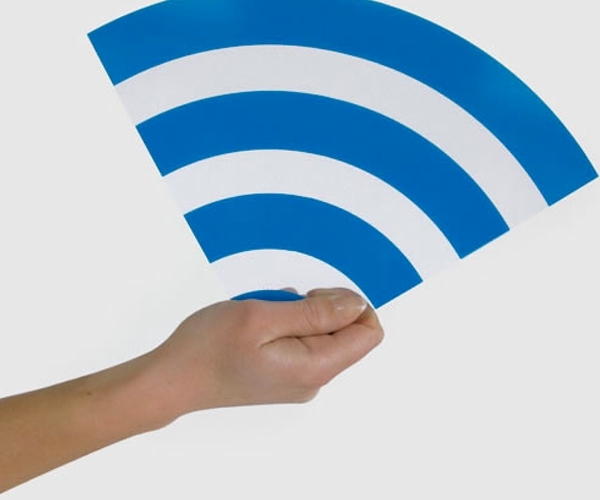 WiFi is so easily interfered with because the frequency is not uncommon in the world around us. WiFi has trouble penetrating glass and concrete and plasterboard. A dangerous emission that does not make. I understand the desire to protect children, I have two … I want to keep them safe, but let’s worry about real problems in their environment like water, air and food and not WiFi.